English football club Liverpool says that it wants to cash on its newfound popularity in China. 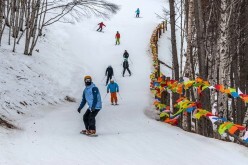 Women have made a mark in China’s winter sports world for having earned a number of gold medals and achievements, according to an article by CCTV. In order to make sports consumption as one of the primary drivers of the economy, experts have advised the Chinese government to focus on sports entertainment in order to achieve and maintain sustainable growth, China Daily reported. 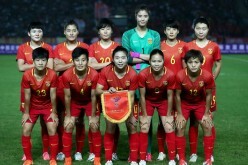 China remained winless while Spain and Canada go head to head in the finals of the Algarve Women's Football Cup being held in Albufeira, Portugal. Chinese football clubs stand a good chance of taking over the football world, leading sports marketer Andrew Georgiou said in an interview with Reuters. It looks like all is set to go well for Shanghai Shenhua’s new £1-per-minute striker Carlos Tevez at the Chinese Super League, with the Argentinian wasting no time to make his debut memorable for the Shanghainese club’s faithful in a 4-0 routing of last season’s runner-up Jiangsu Suning. 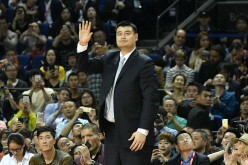 Basketball icon Yao Ming is now seated as the new chief of the Chinese Basketball Association. The CBA president is hopeful to introduce and make reforms in the organization. 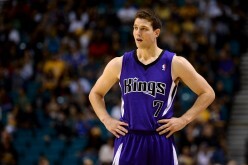 Jimmer Fredette, 'God of Loneliness,' Returning to NBA? After his stellar performance in the Chinese Basketball League, former Brigham Young University star Jimmer Fredette may be coming back home to the NBA. The 2017 NBA Playoffs will start on April 15 and the season is set to end with the 2017 NBA Finals, which will start on June 1. 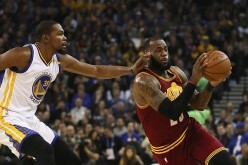 Retired NBA player Charles Barkley, 54, recently discussed the chances of the Golden State Warriors being without Kevin Durant, 28, for the playoffs. Aside from promoting the 2022 Winter Olympics, the Beijing 2022's marketing program will support the economic endeavors of China. 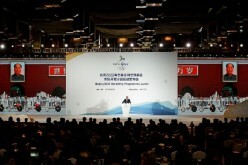 It will also encourage millions of people to get into winter sports. 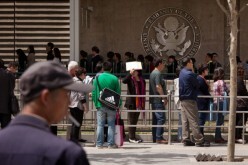 U.S. visas were denied to a team of Tibetan soccer players, according to an article by ESPN. The soccer team was applying for visas in order to compete in the Dallas Cup soccer tournament on April 9 to 16. Middling sides Watford FC (8-11-7, 31 points) and Southampton FC (8-11-6, 30 points) are set to meet in a 2016-2017 Premier League season encounter on Saturday, March 4 at the Vicarage Road. Lowly squads Swansea City AFC (7-16-3, 24 points) and Burnley FC (9-13-4, 31 points) are scheduled to clash at the Liberty Stadium on March 4, Saturday as the 2016-2017 Premier League season moves forward. 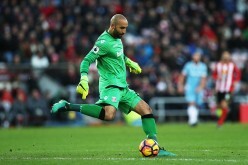 Middling team Stoke City FC (8-10-8, 32 points) will look to get out of their current rut as they square off with newly-promoted squad Middlesbrough FC (4-12-10, 22 points) in a 2016-2017 Premier League season match on Saturday, March 4 at the Bet365 Stadium. 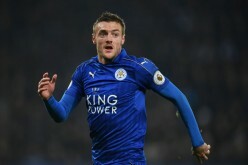 Defending champions Leicester City FC (6-14-6, 24 points) will look to build a new winning run as they host bottom three squad Hull City AFC (5-15-6, 21 points) at their home field of King Power Stadium on March 4, Saturday in a 2016-2017 Premier League season match.